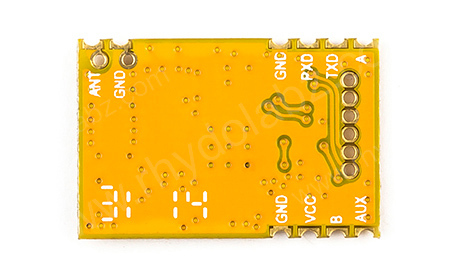 Description: This is the SMD package of DRF1212D10 module. This type is fully compatible with DIP package in functions. Because of its compact size and extra low power consumption (3mA in receive mode), it is also suitable for data logger, robot control, sensor network or other related applications. 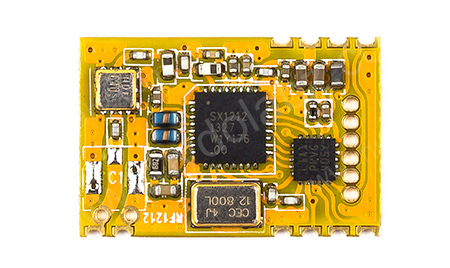 DRF1212D10 module is a highly integrated and extra low power consumption transceiver module based on SX1212 RFIC. Innovative coding technology EDAC (looped interleaving Error Detection and correction) is utilized to assure reliable communication and achieve longer distance comparing to other common coding technology. It consumes less than 3mA current in normal receive mode. With low working voltage it is very suitable for hand-held wireless applications.